If you are a writer in the Portland area, or anywhere close to the Pacific Northwest, put the Willamette Writers Conference in Portland, Oregon, August 12-14, 2016, on your schedule and register now for the early bird ticket prices. The Willamette Writers Association is a non-profit, educational organization actively involved in helping writers get published, turn scripts into movies and television shows, and improve their writing overall. They offer a wide range of educational programs, meetups, and programs for youth and adult all year long, but the annual conference is a must attend event. Held at the Sheraton Portland Airport Hotel this year, the schedule is filled with fantastic writing techniques and learning opportunities. Register early and plan out which workshops you will attend, including the exceptional pre-conference workshops and classes. If you are interested in a manuscript critique, they are offering those for a fee, and we recommend you take time to read through “On the Right Track with Advance Manuscript Critiques” to help you prepare for the critique. Want to pitch your story? Your novel, memoir, script? Pitching events are held during the event as well as at special times, and cost $25 each. Register early for the opportunity to do multiple pitches with various publishers and editors. Read “Pitching with Confidence – Marvin Baker’s Story” for an example of how to pitch your story well, and what might happen. 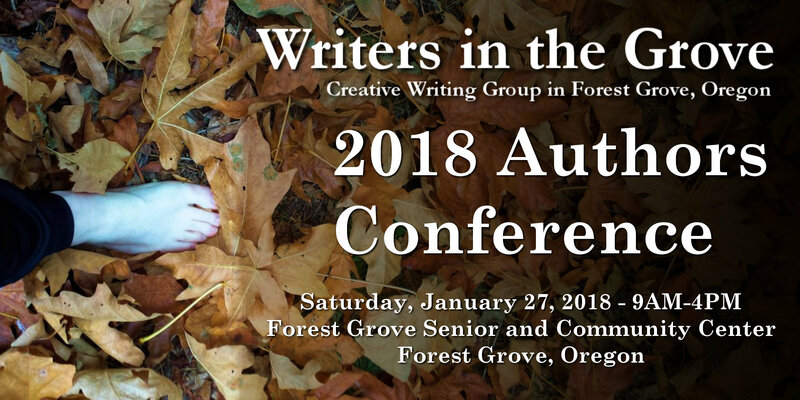 Many authors have sold their books and movie rights at the Willamette Writers Conference over the years. Early bird registration tickets range from $229 for one day to $449 for the entire event, good until May 31. After that, the prices increase, so hurry. If enough Writers in the Grove members are considering going, we’ll get a room to share for the weekend. Carpooling is also available. Let us know during our workshops or contact us if you are interested in going so we can make arrangements for transportation and possible lodging.